Who said "Sunny South?" December 1917. From the Mary Boyer Collection, UNC Charlotte Special Collections. View this and others in our Digital Collections. Charlotte might be a New South City, but that doesn’t mean we’re without our share of wintry weather. 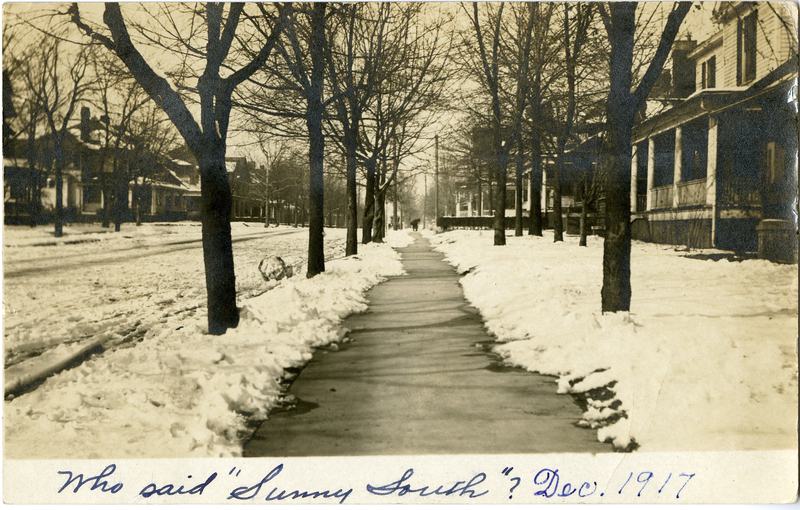 We’ve got lots of images of snowy Charlotte and holiday decorations from the past in DC@AL. View this and other images in our ever-growing Digital Collections! ← DC@AL – Now with more Charlotte!